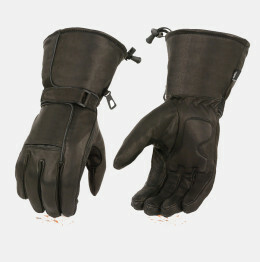 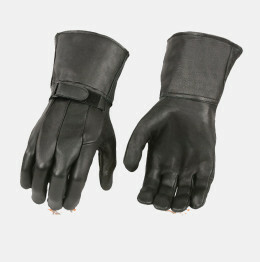 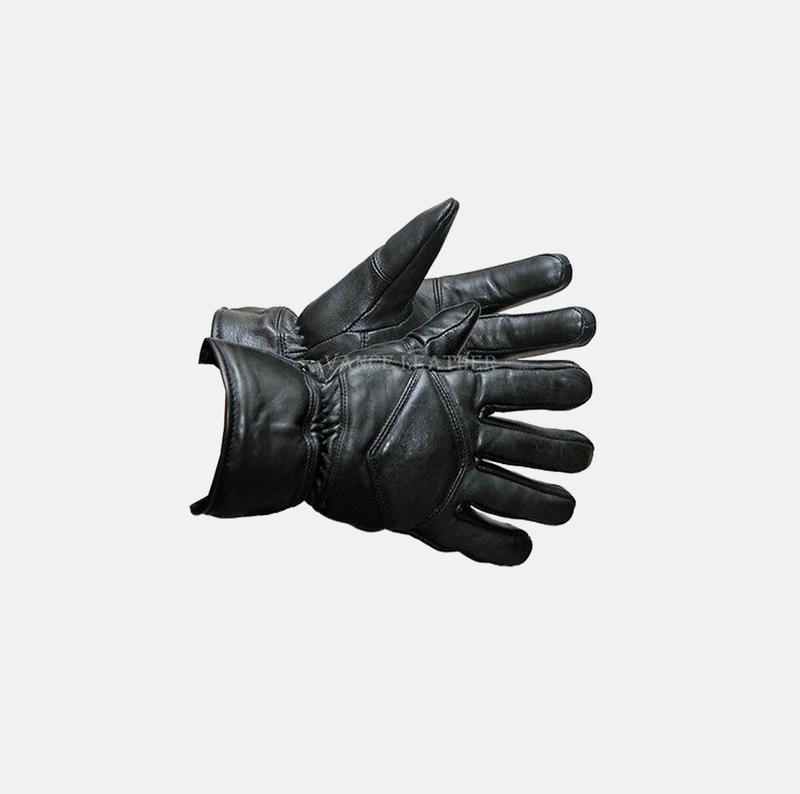 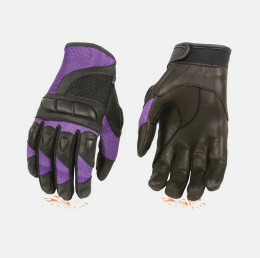 Gauntlet Riding Gloves, this fully lined glove of lambskin, includes a safety clip to secure gloves together when not in use.These gloves extend approximately 3.5 inches above the wrist, and features elastic for a secure fit.Be sure to make gloves a regular part of your motorcycle leather & biker gear. 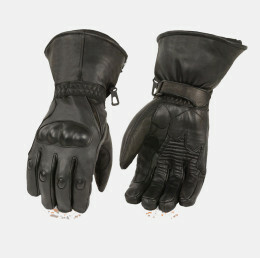 Leather motorcycle gloves come in various weights and thicknesses ranging from lightweight finger less gloves to heavy insulated gauntlets for winter riding. We offers riding gloves at low prices in many different styles and designs to fit your needs, your style and your budget!Gloves range in size S-3XL and are unisex sizes so our motorcycle riding gloves are suitable for both men and women.